Network refers to interconnected group of people or computers or other devices which can exchange information and other resources among themselves. For examples, interconnected telephones create telephone network. 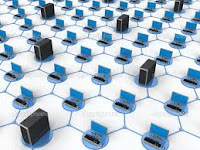 A computer network is a link of two or more computers which are linked together to share information and resources, the establishment of networks form networking. 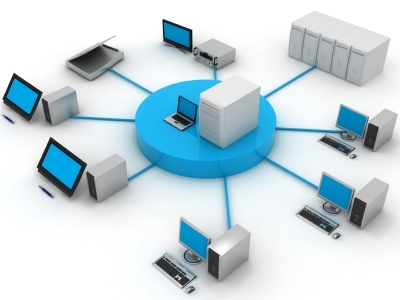 Individuals organizations connect computers in a network for many reasons including, sharing of hardware accessories, software, data, information and to facilitate communications between different departments. Basically there are three different types of network. These three are further classified. I will Discuss that on next post. 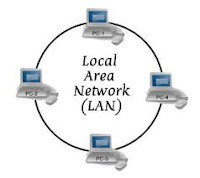 1.LAN:-Local Area Network, as the name signifies,is the type of communications system which enables interconnections of computers (nodes) within a small geographical area, such as in an a building. 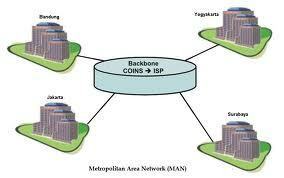 The transfer of data in LAN takes place at a rate of 100-1000 mbps. The common communicating medias for LAN are radio,waves,cables,etc. Computers(nodes) are spread over metropolitan area such as a city and its suburbs.It is a large network that covers an entire city.It is connected within a single city or metropolitan area. It is effective and the speed of data communication is higher. MAN can be operated by a single organisation or can be shared by several organisations in the same city. 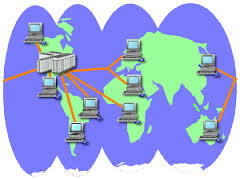 Computers (nodes) are connected over large geographical area such as cities,states,countries or tbe whole world. The speed of transfer of data is up to 1mbps.